For its 3rd participation in the Great Place to Work® survey, recognized for the evaluation of working conditions in companies, Servier Korea distinguished itself by winning the Grand Prize. A first that all employees are pleased with. Among the 182 companies enrolled in the Great Place to Work® Korea in 2018, only 33 have been selected. Considered as one of the best places to work in the country, Servier Korea was awarded the GPTW Korea’s Grand Prize. The subsidiary is recognized by its employees as an organization that fosters creativity, trust and camaraderie! 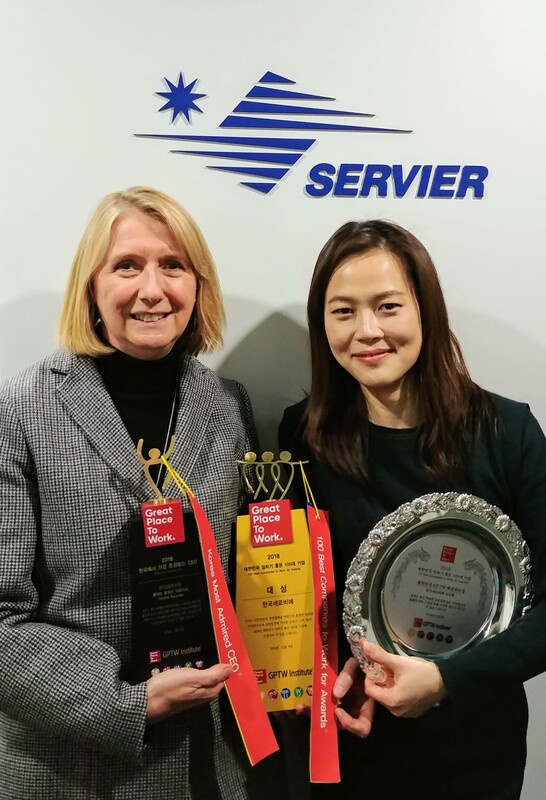 Other awards for Servier Korea, and not the least: Colette Rouches, GM of the subsidiary, was awarded the “Most Admired CEO” prize and Eunhye Kim, local HR manager, the “Innovative Leader” prize for the peninsula. “All these are sources of pride for Servier Korea’s employees, who intend to “continue to make their company an ever more pleasant place to work”, said Eunhye.